Babyologists, you wanted to know more and now we can tell you, with the help of the Britax team, just what’s in store for Australian ISOFIX child restraints. It’s safe to say that Britax know their stuff. After all, it was Britax Europe that were the first to launch an ISOFIX child restraint to the European market and they’re being ultra helpful filling us in on the details for what lies ahead in regard to ISOFIX restraints being introduced to the Australian market. The current draft standard specifies that Australian ISOFIX child restraints will need to be able to be used with a seatbelt fit in addition to ISOFIX points. Unlike European child restraints, the foot prop will not be used in the Australian market, but the top tether strap will continue to be required on all seats, as is currently the case with child car seats. Manufacturers themselves will have the option of supplying rigid (ISOFIX) lower connectors to attach to the vehicle, as is used in Europe, or alternatively, a flexible (LATCH) connection similar to restraints used in the United States. It’s important to note that while Australia is moving towards allowing the use of ISOFIX child restraints, that does not mean that European or American ISOFIX child restraints will automatically meet the Australian Standard (which has a higher level of testing and design requirements). All child restraints that meet the Australian Standard have the five tick standards marking, confirming compliance. 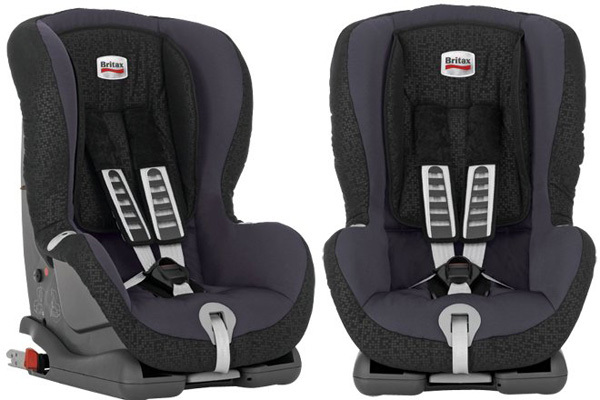 ISOFIX Britax Australia’s Technical Director Mike Lumley is quoted in Britax’s media release saying “Our current Australian and New Zealand child restraint systems provide high levels of safety equal or better to that of products globally. The main expected benefit from ISOFIX compatible child restraints is an improvement in fitment to the vehicle. Parents are likely to find these new style child restraints easier to fit to vehicles, reducing the potential risk of incorrect instalment“. So such a comment lends itself to the discussion that it’s not that Australian child restraints are less safe than ISOFIX, it’s the fit itself that’s often incorrect and hence why it’s recommended to have your child restraint fitted by a professional. Finally, Australian drivers who choose to drive with an American LATCH or European ISOFIX child restraint are not obeying the Australian road rules and risk receiving a traffic infringement.